The aim of this paper is to provide a comprehensive overview of the state of provision for enterprise and entrepreneurship education within England’s Higher Education Institutions (HEIs). The paper is based on the National Council for Graduate Entrepreneurship (NCGE) Mapping Study of enterprise education in England. Research commissioned by NCGE (ISBA 2004) has shown that there is a growing knowledge base about the nature of enterprise education but less so evidence concerning the provision for enhancing student enterprise and graduate entrepreneurship. Although studies have taken place in the US and Levie undertook a study of the UK published in 1999, there has been no recent study that has comprehensively mapped enterprise education activity in all higher education institutions across England. Institutional contacts in 94% of all the HEIs for this study entered data into an online institutional mapping template containing questions on modules/courses, non-accredited support and other institutional characteristics. The researchers maintained regular telephone contact and made personal visits to maximise data entry and to provide support where needed. This approach has led to the collection of a unique and robust data set that has been analysed using SPSS. 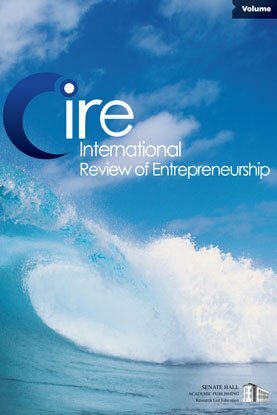 The paper presents a national overview and highlights selected regional variations in enterprise education and non–accredited entrepreneurship support. This includes: current and planned course provision over time; student profiles and targets; primary learning outcomes; non-accredited provision and student engagement; primary funding sources; and the development of a range of institutional characteristics conducive to supporting student enterprise and graduate entrepreneurship. The findings from the mapping study illuminate the current HE landscape of support for enterprise and entrepreneurship thereby providing HEIs and educators with a valuable national resource. Additionally, this informs other key stakeholders – RDAs and central government – of the scope and scale of the contribution that HEIs offer to regional economic and social agendas. From such a unique evidence base more informed decisions can be taken when considering effective mechanisms for the future growth and development of HEI contributions. This paper offers the findings from a unique and current comprehensive dataset on the HE provision of enterprise and entrepreneurship education in England. With 94% of the HEIs in the study providing data online the study has created a national database that can be a platform for sharing knowledge and experience across the community. Furthermore conducting a repeat online study on an annual basis will provide valuable time series data. The study findings will help shape the future environment for student enterprise and graduate entrepreneurship across England.